Waking up too hot can be frustrating and uncomfortable when trying to get a good night’s rest. When you feel as if you’re overheating it can be difficult to fall asleep and stay asleep. If you commonly find yourself waking up to throw covers off and cool off, it may be time to consider what could be causing this and make a change. The environment of your bedroom plays a significant role in your quality of sleep, but your mattress is an especially big factor. Finding the best cooling mattress can help regulate your body temperature and keep you sleeping comfortably all night long. In this article, we’ll cover possible reasons you may be waking up hot and how to go about finding a solution. There are a variety of reasons you may wake up hot at night. Waking up hot could be a result of sleeping in a hot environment, not having the air conditioning on, or sleeping with too many blankets and comforters. Alternatively, it could something out of your control, such as being a naturally hot sleeper or sharing the bed with someone who sleeps hot. There is also a chance your mattress may be causing you to overheat. When you sleep, your body emits heat. Depending on the design of the mattress, this body heat is either redistributed, or it gathers underneath of you. This build-up of heat can cause you to wake up hot and uncomfortable during the night. 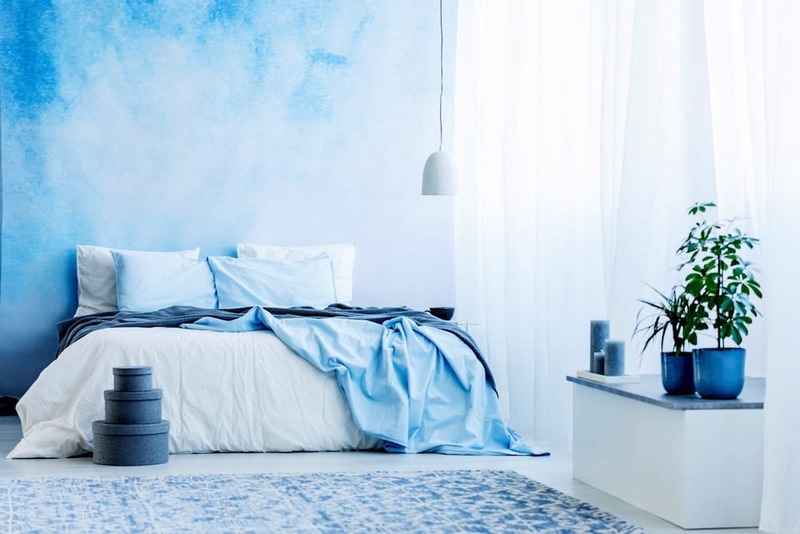 If you are having issues with overheating at night, and you’ve taken all other measures to keep yourself and your room cool at night, it’s time to consider your mattress. Finding a breathable, cooling mattress can make a huge impact on your comfort at night. If you have issues with overheating at night, you understand how frustrating it can be trying to fall back asleep. Over time, this can result in sleep deprivation. During the day, you may find yourself feeling sleepy, groggy, and fatigued. Additionally, lack of sleep can weaken your immune system, putting you at risk of getting sick. To ensure that you are getting the most efficient and productive sleep possible, consider buying a mattress designed to reduce heat and promote cool temperatures. In general, cheaper mattresses are more likely to retain heat and cause discomfort. 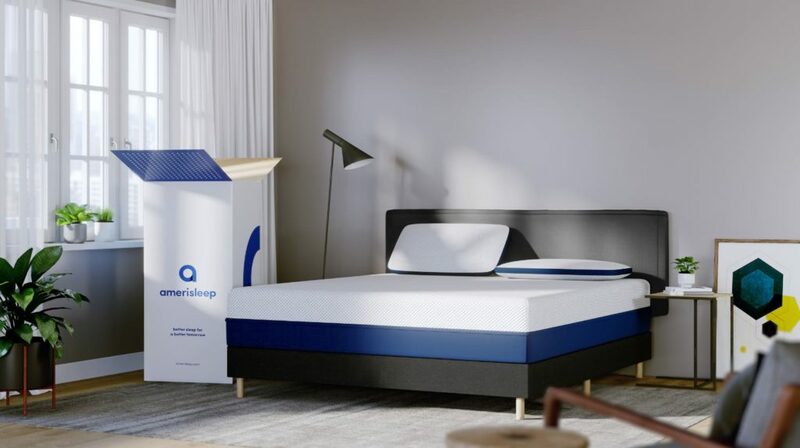 As of recent, many mattress brands have been designing their mattresses with breathability in mind and incorporating different heat-reducing technologies into their products. Though older memory foam mattresses have been known to trap heat, some of the best cooling mattresses available today are actually memory foam mattresses. The better and newer the tech, the more likely you will comfortably sleep through the night. There are many different types of mattress materials, all of them have unique ways of cooling you down throughout the night. Innerspring beds have been around since the 18th century. When it comes to keeping you cool, these beds have always done a decent job because the design of innerspring mattresses allow air to pass through the mattress. Innerspring mattresses contain a coil system inside. These coils provide targeted support and comfort for the sleeper above, and because they are evenly spaced throughout the mattress it creates a significantly breathable environment. Breathable mattresses allow hot air to escape rather than gathering below you, this allows you to get a cool night’s sleep. Beds made from gel foams are very effective at reducing heat. Gel foam is both cooling and conducive to heat, acting as a magnet attracting and countering all of the heat your body gives off. Gel beds are often a great choice for hot sleepers, because, in addition to the gel foam used, most of these mattresses incorporate other cooling technologies, as well. An example of another cooling material used in gel mattresses is copper wiring. Copper is also conducive to heat, so it is effective in gathering and redistributing heat away from your body. Latex is known for its ability to maintain it’s temperature regardless of how long you sleep on it. Latex mattresses tend to have holes for aeration throughout its design, allowing air to easily escape out of the mattresses. Because of this design, your body heat escapes from underneath you, keeping you cool. When memory foam mattresses first hit the market, they were notorious for retaining heat. Since then, memory foam mattress brands have been working to improve their designs. Nowadays, these brands have incorporated advanced cooling technologies into their beds. Some of the best cooling beds on the market now are memory foam. Memory foam has an open-cell design, allowing for breathability in the mattress. These mattresses are made from multiple foam layers, each of which are designed to provide comfort, support, and a cooling feel. Some of the best cooling memory foam mattresses contain a layer for targeted support, a layer for comfort, and a layer or additional technology designed to push heat out and away from the bed. Finding a mattress that meets all of your requirements is the key to the best sleep. It’s important to note that these materials provide more to the sleeper than just their ability to reduce heat. These mattresses differ in firmness, durability, support, and comfort. Even if a mattress is exceptional at promoting a cool sleeping environment, doesn’t mean that you’ll sleep comfortably on it. To find the best mattress for you it’s important to take into consideration all of the other aspects that influence the comfort of the mattress. While staying cool is an important part of a good night’s sleep, there are other equally important factors to consider. When making an investment into your sleep, you want to make sure you’re buying a bed that will last you for years to come. Mattresses are not necessarily cheap, when you’re dropping hundreds of dollars on a new bed, it’s important to do your research and make sure you’re buying the best bed to meet your sleep needs. You spend almost a third of your day on your mattress, if it isn’t durable, you’ll end up wearing it down sooner than later, putting you back in the market for a new bed. It is both cost-effective and better for your health to buy a high-quality mattress from the get-go. There are many purchases in life you can go the cheaper route on and end up just fine, a mattress is not one of those purchases. If you decide to buy a cheaper mattress to save yourself money, you’ll probably end up uncomfortable. Instead, we recommend saving your money and investing in the best bed for yourself. Of all bed types, latex and memory foam mattresses are known to last the longest. Often, they will last up to ten or twelve years before showing their age. Furthermore, be sure to buy a mattress with a good warranty. Buying a mattress with a 20-year warranty over a 10-year warranty ensures the brand will cover any deformities in the mattress that may be caused by age. A good warranty can help your investment last longer. The density of a mattress is decided by how much weight there is per cubic foot. This affects the firmness of a mattress. Firmer mattresses are typically recommended for back and stomach sleepers, while softer mattresses are best for side sleepers. Besides your sleep style, there are other reasons to want a different firmness from your mattress. Firm mattresses are great for people with chronic back and neck issues. They support your spine’s alignment, making sure your spine isn’t contorted in unnatural and unhealthy positions while you sleep. If a bed is too soft, your body will sink and sleep in positions that might cause misalignment, which will cause other issues over time. Softer mattresses are better for those who have joint and pressure point issues. A softer mattress will allow your body to sink in, relieving pressure build-up. If you’re looking for a mattress right in the middle of soft and firm, finding a mattress of medium firmness will be your best bet. Budget is something to be considered when buying a bed. As we mentioned earlier, a new bed can be very expensive. It’s important to not overspend, but it’s also important that you’re not skimping out and buying a cheaper bed for the sake of saving money. Try to stay within your budget and look for beds that offer quality and affordability. Additionally, many mattress companies offer financing and payment plans, this allows you to break up a big expense over time and make monthly payments. When compiling this list, we kept both comfort and affordability in mind. We hope this guide can point you towards the best bed for your sleep needs so you can start getting a better night’s sleep without breaking the bank. When doing a simple online search for a mattress, you’ll be met with an overwhelming amount of brands and mattress models to choose from. With this being said, buying the best mattress for yourself isn’t the easiest task to tackle. In this guide, we’ll explain where to start, what’s important to consider, and how to make your decision. If you’re looking for a specific cooling mattress model, we recommend skipping to the Best Cooling Mattress section. One of Layla’s biggest selling points is their unique copper-infused design. As we mentioned earlier, copper is conducive of heat. In fact, copper is one of the most conducive elements. By including copper in their design, their mattresses are known to sleep cool. Additionally, the Layla bed offers two firmnesses in one. One one side it’s “firm”, and when you flip the mattress over, it’s “soft”. Purple advertises a temperature neutral bed. Their mattresses won’t make you cool, but they won’t make you hot either. 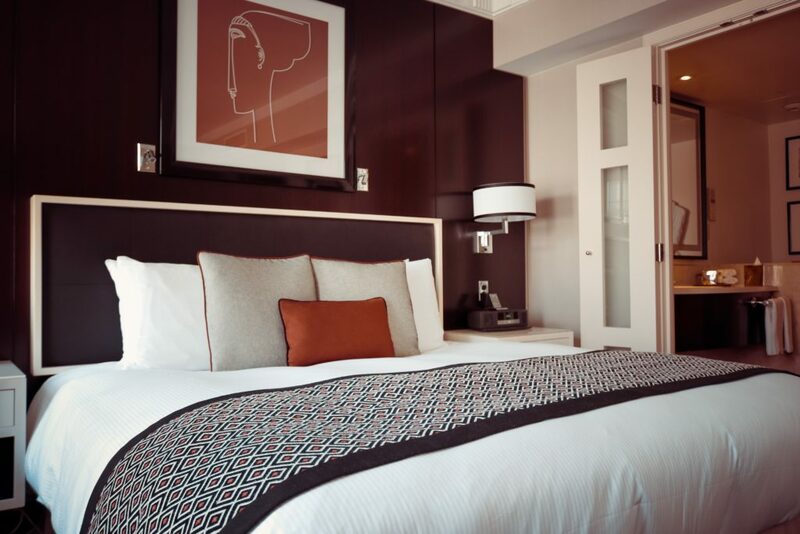 Their design includes their Smart Comfort Grid™; this grid design allows air to flow through the bed, ensuring it won’t be trapped below you causing you to wake up hot. There are many other brands that carry their own model of cooling mattresses. Some of these brands you’ll recognize, others aren’t as popular, but they’re each effective in promoting cool temperatures while you sleep. If you’re not wanting to buy a new mattress, there are other ways to keep yourself sleeping cool throughout the night. A cooling mattress pad could be considered the simplest solution to hot nights. Cooling mattress pads are much like traditional mattress toppers, you place them over your mattress and under your sheets. Traditionally, standard mattress toppers are used to provide extra cushion or support for beds that are either too firm or too soft respectively. Much like memory foam mattresses, these cooling pads come in a variety of firmness levels. Be sure to choose the one that best fits your desired firmness and price range. Similar to a cooling mattress pad, you can place an electric cooling pad on your mattress to create a cooler sleeping environment. An electric cooling pad is normally a little thinner than traditional mattress toppers and cooling mattress pads. Oftentimes, people enjoy this aspect, especially if you like how your mattress feels. The biggest downfall to this product is it must be plugged into an outlet to use. If you don’t have an outlet near your bed, this can create a hassle. Electric cooling pads typically do much better than their predecessor in creating cooling temperatures quickly. Additionally, many electric cooling pads allow you to choose your desired temperature setting. Even if you have a mattress that keeps you cool throughout the night, a cooling pillow might be a good idea. Finding the best pillow can boost your quality of sleep in a way your mattress cannot, by providing extra support for your neck, shoulders, and head. A cooling pillow’s design is meant to lower the amount of heat absorbed into the pillow. In this regard, it is similar to many memory foam or gel mattresses designed to absorb heat and cool you down. Our top pick for the best cooling mattress takes several facets into account. However, as we have mentioned before, there are many different aspects of a mattress. A cooling mattress won’t do you much good if it does not offer the comfort and support your body needs. Our top pick for both sleeping cool and comfortable is the Amerisleep AS3. Amerisleep carries five different models of mattress, each of them ranging in firmness, allowing you to choose your desired firmness level. Amerisleep designs their mattresses to be breathable, so regardless of the model you choose, you can be sure you won’t be waking up hot. The AS3 will not only keep you from overheating throughout the night, but it also provides comfort and support necessary for a healthy night’s sleep. Depending on your sleeping needs and preferences, another Amerisleep model may be better for you. All of these models use the same technology to keep you comfortable and supported throughout the night, but we chose the AS3 for its versatile firmness level. Every Amerisleep mattress has a Celliant® cover. Celliant® is an FDA-determined material designed to absorb and recycle your body heat, and transform it into infrared energy. Infrared energy then promotes local blood flow, which ultimately regulates your body temperature. Even if you sleep with sheets and blankets between you and your mattress, this cover will still work the same in keeping your body temperature regulated. The first layer of all Amerisleep mattresses is their Bio-Pur® material. This unique foam is designed to be five times more breathable than standard memory foam. In addition to being breathable, this foam is also more eco-friendly as it’s plant-based. During the manufacturing process, Amerisleep replaces as much petroleum oil typically used to make foam and replaces it with castor oil. Doing this results in more breathability and prevents any “new mattress smells” upon opening your mattress up. Ultimately, the Bio-Pur® layer has an advanced open cell structure, allowing space between the air particles for air to escape. This foam is also more responsive than traditional memory foams, instead of taking 20 or 30 seconds to regain its shape, Bio-Pur® pops back into shape in 3 or 4 seconds. Along with feeling overheated, feeling stuck in the mattress is one of the most common complaints with memory foam— the Bio-Pur® layer ensures that neither of those things happens on an Amerisleep bed. The HIVE® layer of the AS3 is directly below the layer of Bio-Pur®; this layer offers targeted pressure point relief. The design of the HIVE® layer consists of hexagonal cutouts within the foam. These hexagon cutouts are closer together around your head, shoulders, back, hips, and feet, where your body needs support and spaced farther apart where your body wants more comfort. Additionally, because these hexagon cutouts are spaced apart, they provide space for air to flow through the mattress. This layer works in conjunction with the layer above to provide comfort and support while keeping air flowing out of the mattress. The base of every Amerisleep mattress is made from their durable BioCore foam, and this dense foam supports all the layers above and ensures longevity. 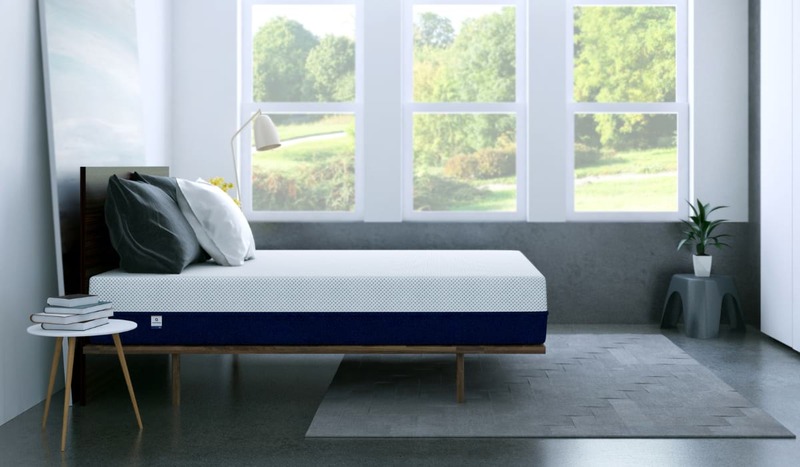 Because Amerisleep uses this durable foam to support the entire mattress surface area, they do not need to add any additional edge support into their design. The Amerisleep AS3 provides a quality night’s sleep with the promise of durability and comfort. Additionally, their price tag won’t break the bank. Ultimately, they’re offering a luxury mattress at a reasonable price. When you begin looking for your next mattress that helps cool you down throughout the night, we suggest Amerisleep. Not only will it keep you cool, but it also provides the comfort and support your body needs to get the most rejuvenating sleep. Up Next: How to Find the Best Memory Foam Mattress.